While I’m in on a bit of a ‘means of transport as art’ theme I really can’t ignore Gabriel Orozco’s Until You Find Another Yellow Schwalbe. Living in Berlin while on a DAAD residency in 1995, Orozco got around the city using a yellow Schwalbe scooter. 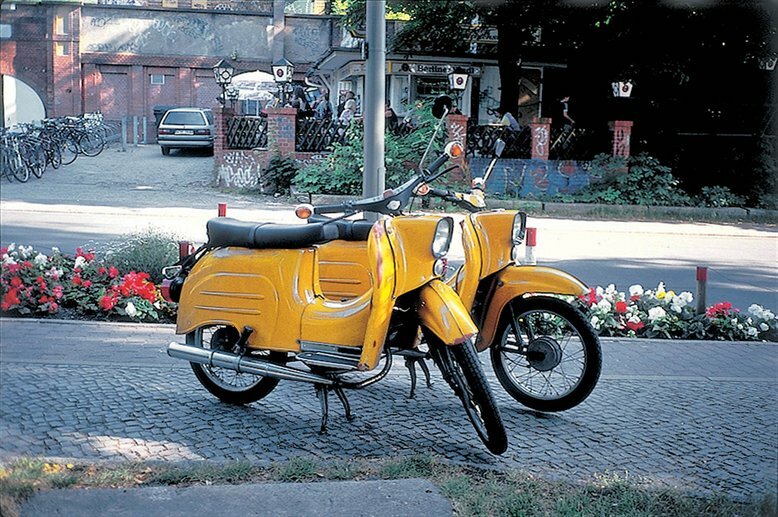 These scooters, made in the former East Germany, were cheap and quite a common sight on the streets of Berlin. Whenever he saw a scooter like his parked, Orozco would pull up next to it and photograph the pair of scooters. He left a note on each of the scooters inviting the owner to bring it to a gathering outside the Neue Nationalgalerie on the anniversary of the reunification of Germany. 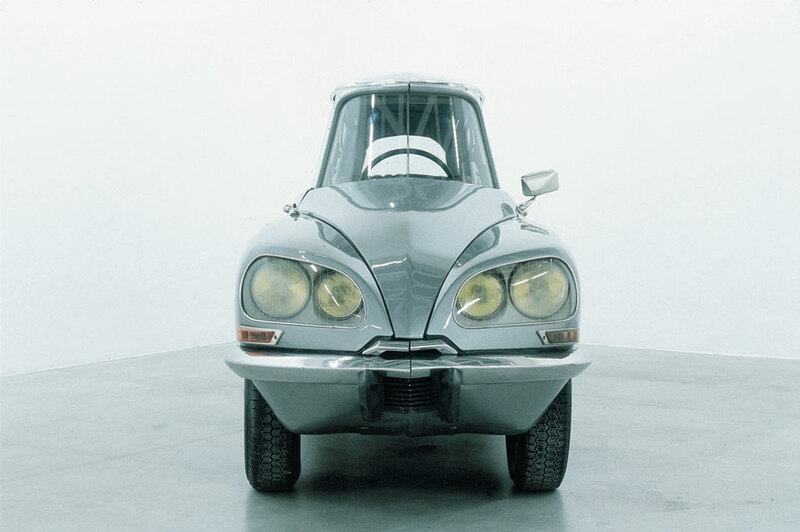 One of the things to avoid when buying a car is getting a cut and shut – a car that’s effectively been made from two wrecks, generally joining the front of one car and the back of another – but Gabriel Orozco’s La DS s a cut up car of quite a different nature. The first thing you notice about La DS is that it’s a readymade in the very specific form of a Citroën DS; but it’s immediately also apparent that something isn’t quite right. This is car, but not as we know it. It seems somehow longer than it should be. In reality, it’s not stretched; the proportions are wrong because the car has been slimmed down in an unexpected way. Orozco took a Citroën DS and removed the middle section making the familiar form even sleeker. Of course removing a section two foot wide (or thereabouts) from the middle of a car does have its drawbacks. It looks beautiful but La DS can’t be driven so turns heads only in the gallery. 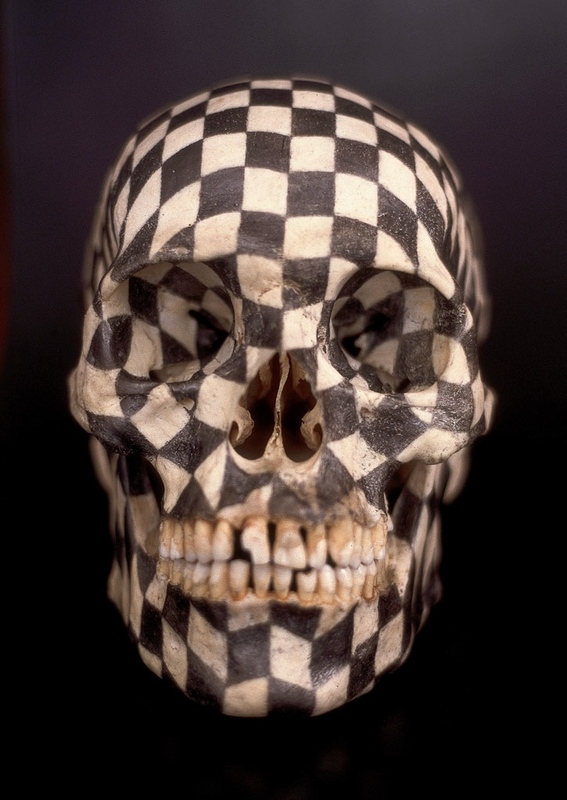 For the Love of God, Damien Hirst’s diamond encrusted skull, got me thinking about another – and in my view much more interesting – human skull that has become contemporary art. 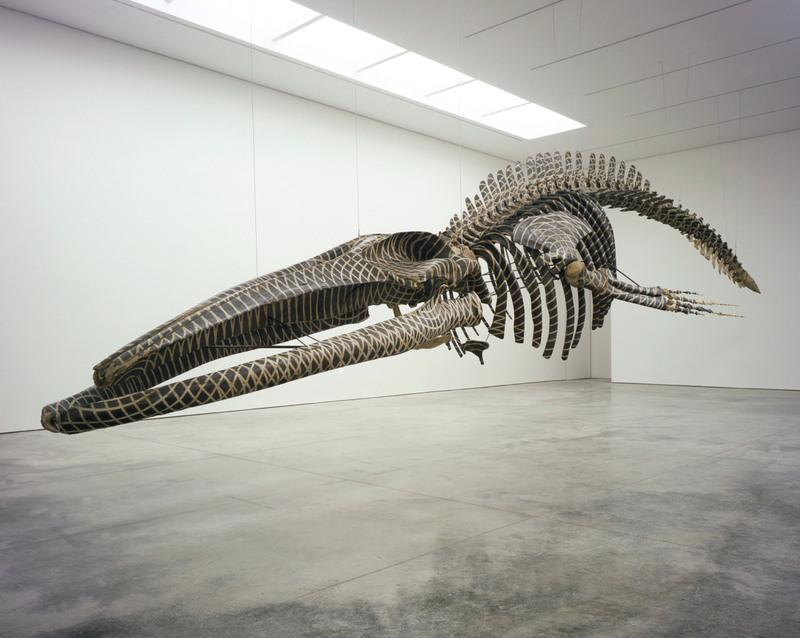 Gabriel Orozco’s Black Kites is an extraordinary three-dimensional drawing on a distinctly less than conventional ground. This is a work I found both moving and compelling.